A few years back my son came home for Christmas and he wasn't feeling well. It was a holiday and I couldn't get him to the to the doctor, not that I wanted him on antibiotics, but something needed to be done. I decided to give garlic and olive oil a try. I took a whole garlic and peeled and diced it up. I put it on the stove in a small pan with about 2T of olive oil and gently warmed it (do not boil or it will kill it's natural antibiotic qualities) until it became very soft. Then I mashed it into the oil and put it through a strainer to get all the solids out. I let it cool down to a nice warm temperature and then I put a few drops in each of his ears letting it sink down in several minutes on each side and then put a cotton ball inside to hold the excess. I repeated this process several times the first and again the second day and after that, his ears were better. When I think of all the times when he was a child that I ran him to the doctor and put him on antibiotics, I cringe. How many times might I have solved the problem without the use of antibiotics? Years later my son has developed a lot of allergies and I attribute most of that to over use of antibiotics. Garlic is just one of the many natural antibiotics available to us and I am going to discuss the others ones here with you now. Every time you swallow a drug based antibiotic, you cause significant harm to your digestive system and destroy the healthy bacteria you have in your gut. This is not a problem that just lasts a few weeks. This damage can cause undesirable changes in the gut microbiome that persist up to 4 years or more. Now that you are armed with this need to know information here is a list of natural antibiotics that you can try to heal yourself or your loved ones with. Manuka Honey: This is often used for skin or oral infections and boosts the immune system. Manuka honey is like honey on steroids. It is the most unique kind of honey on the planet. It has a powerful infection-fighting quality. Manuka honey is made from bees that pollinate the Manuka bush. The result is honey that is rich in naturally occurring hydrogen peroxide, methylglyoxal, and dihydroxyacetone. These are the substances responsible for the antimicrobial properties of Manuka honey. Skin Infections: Primarily it is used on skin and oral infections and it is great at fighting plaque. It can be used both topically and orally. For skin infections apply a dab to the affected area. Cover with a bandage. Internally: If you think you have been exposed to anyone who is sick start taking a teaspoon 1-2 times per day. 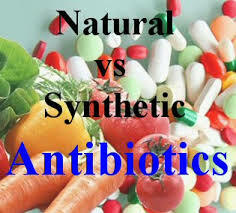 It can boost your immune system so you don't get sick and it will reduce the time you are sick if you do catch a bug. Manuka honey isn't cheap so it is not suggested that you take it for long periods of time and is very good to have in your medicine cabinet. Manuka Health - MGO 400+ Manuka Honey from New Zealand comes highly recommended. Over 1200 customers give it a 4.5-star rating on Amazon. Click the button below to buy yours now. Oregano oil: When you buy distilled extract of medicinal-grade oregano it is nothing like the herb you put in your pasta sauce. Oregano oil contains potent compounds called carvacrol and thymol. These two compounds fight off impressive pathogens. Carvacrol has been widely studied for its antimicrobial effects. In over a 1,000 studies it has been proven to fight, bacterial infections, fungal infections (caused by yeast) viruses, parasites, allergies, and inflammation. Oregano oil is said to be one of the most powerful natural antibiotics on the earth. There have been reports that everything from nail fungus, sinus infections, yeast infections, to even MRSA have been successfully treated with oregano oil. Foot and Nails: Put a few teaspoons of oregano oil into a tub of water and soak in it. You can also put it in some olive oil and use it as a topical treatment. Sinus Infections: Add a drop to your nettie pot or breath it in some steaming water. Oral Infections: Dilute a drop of oregano oil with a teaspoon of cold-pressed coconut oil and use it as a rinse. I highly recommend Young Living Essential Oils and if you purchase them go directly to their site to avoid any that may have been diluted or tampered with. They aren't cheap but when it comes to essential oils there are no shortcuts for quality. Garlic: Not only is it delicious but it is a powerful antibiotic used for thousands of years in cultures around the world. One Study in the Journal of Antimicrobial Chemotherapy actually shows that the active substance (diallyl sulfide) is up to 100x more effective than antibiotics. Not only is garlic effective at killing infectious microbes. It also boosts your immune system. Studies have now found that taking garlic on a regular basis can decrease your chances of getting a cold by 63% and it can reduce your cold symptoms by up to 70%. Taking just one garlic capsule a day from November to February can help you avoid the cold season. Garlic provides a long list of additional health benefits. If you want to get the benefits from garlic using it raw is best. Ear Infections: However, if you want to use it in the ears you will need to cook it. If you have a way of cold pressing the oil or can purchase it in that form that can be used for the ear infections. Skin Infections: Combine 1T cold pressed olive oil with 1 clove of garlic oil, let it sit for 30 minutes and then strain it off. Boost Immunity: Crush one clove a garlic and don't chew it or your breath will tell the tale all day. Swallow it whole once a day. Garlic oil can be purchased online and there are several good brands you can buy. Click the link below to order yours now. Dr. Christopher's Original Formulas Oil of Garlic. Cinnamon: This is one of the oldest and most common spices used in fighting dangerous bacterial and fungus infections. Growing evidence shows that plants are rich in sources of different classes of antimicrobial substances acting as a defense system to protect against infection. Ayurvedic medicine has been using cinnamon for diarrhea, flatulence, as well as antimicrobial defense. The most benefits are derived from the bark which yields about 90% of the volatile components. Next, steam distillation of the cinnamon leaf will reach a concentration of more than 80%. One of the most beneficial uses of cinnamon is in cosmetics and degradation of food. Where Can I Get Cinnamon? There are several kinds of cinnamon you can purchase. Click the link below and order yours now. Healthworks Cinnamon Powder Ceylon Raw Organics. Fermented Foods: Consuming fermented foods are important for a strong immune system. Foods like sauerkraut or kombucha contain healthy bacteria. When we eat fermented food, it boosts and preserves the beneficial bacteria in our gut, known as gut flora. Gut flora is destroyed by pesticides in our food, antibiotics, alcohol, and NSAID drugs like Aspirin. Did you know that 70% of our immune system is found in your gut? So if that gut flora gets unbalanced your immune system will be compromised. As a result, you will get sick easier and more often and be prone to autoimmune diseases. In the American Journal of Clinical Nutrition, they explored evidence of how bacteria in the gut is essential to have a strong immune system. Healthy bacteria can improve your body's ability to fight off infections, and fermented foods are the best source of healthy bacteria. Another way to get enough good bacteria is to take a high quality probiotic. I use Pure Encapsulations. Click the link below to get yours now. One of the reasons you always see the raw ginger with sushi is that it helps to prevent foodborne illness. There just haven't been enough studies of ginger to really know it's true antimicrobial effects. It is found to be most effective combined with other antibacterial spices. Pau D' Arco: Pau d' Arco is found in the tree bark from the rainforest in South America. It has also been used to fight viral, fungal and bacterial infections. Scientists believe that a compound called beta-lapachone is responsible for the antimicrobial effects. Pau d' Arco has been known as the best herb for fighting candida overgrowths in the gut. There are claims that it reduces sugar cravings which in turn feed the candida. Most often it is taken orally as a tincture or by tablets. In larger doses, it has been known to cause nausea and not be tolerated well. It is not recommended for children and it can interact with blood thinners. For this reason, consult with a healthcare practitioner. There are many alternatives to try before running to the doctor for antibiotics. Many of these natural remedies have been effectively used for thousands of years. Educate yourself on the negative effects of antibiotics and in the even you do ever have to take them make sure you supplement with a good probiotic to re-establish your gut flora.